How come an oil businessman is running America's foreign affairs? How come an oil businessman is running America’s foreign affairs? Until this week, most of us had never heard of Rex Tillerson. He’s been in a position of authority for a long time – but not a particularly public one. He was CEO of ExxonMobil, one of the world’s biggest oil companies. Now, he’s going to be America’s Secretary of State – i.e. their number one diplomat, heading up the relationship between the US and the rest of the world. Is he cut out for the job? A lot of politicians in the US – including some in Trump’s own party, the Republicans – are seriously unhappy about the prospect of Tillerson taking such a powerful political role. Past Secretaries of State have been very experienced diplomats who’ve worked in politics pretty much forever. John Kerry – currently in the job – spent 28 years in the United States Senate. But Trump seems to be nominating a lot of businesspeople to the cabinet, off the back of the same logic he ran his campaign on: if you can make millions for a business, you can make millions for a country. So how similar are the two job specs really? Take Tillerson’s future role and past CV as an example. As Secretary of State, he would be the President's chief foreign affairs adviser. He’d be expected to form and maintain relationships with countries around the world on behalf of the US and make sure all the President’s foreign policy-related decisions are carried out. Exxon Mobil is a giant in the oil industry, operating on six continents. It’s the world’s eighth-largest company. He’s spent most of his life running a multinational corporation so massive and complex that it’s been compared to a privately owned state. So yes, he knows how to network: but who exactly is in his network is a bit awkward for his new position. As their long-time CEO, Tillerson definitely knows all there is to know about negotiating tough, international deals and making friends in high-profile places – a big part of Secretary of State job spec. 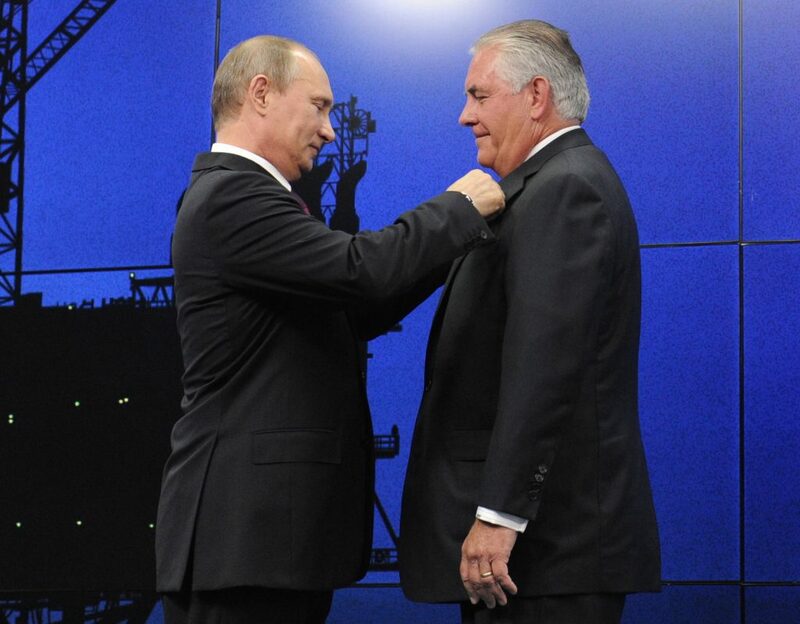 Because of the nature of the oil business, many of the countries Exxon deals with are poor, corrupt and authoritarian states; the company has recently made agreements with countries like Guyana, Angola, Nigeria and Russia (Putin actually gave Tillerson a medal once), who aren’t exactly known for their transparent business sector. Some say it’s a positive thing for a Secretary of State to have relationships with, er, more ‘difficult’ countries. But these leaders could very quickly lose their warm fuzzy feelings towards Tillerson when, in his new role, he’s suddenly required to criticize their human rights records, or oppose them in negotiations on security issues, or, in Russia’s case, keep sanctioning them for their illegal invasion of Ukraine. Awkward. As a businessman, Tillerson knows how to make money. But making money in the private sector isn’t always in the interests of the country as a whole… which is who Tillerson is now accountable to. This is where things get really, really awkward. As Secretary of State, Tillerson is supposed to spend his budget however best benefits the country. His daily decisions and their effects will have no bearing on his take-home salary. But what he decides to do as Secretary of State could have big repercussions on his take-home profits from the business world. That creates a conflict of interest on an astronomical scale. ExxonMobil has already lost around $1bn in profit because of Russia’s sanctions on Ukraine. 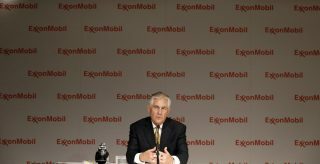 And although perhaps we should give him the benefit of the doubt that he’ll make decisions in his new role according to his new priorities – citizens, not shareholders – he still has a massive personal stake in ExxonMobil’s success. According to one estimate, the stock he’ll hold in the company is valued at a massive $218m, plus a very cushy $70m company pension. If and when the two sets of incentives Tillerson is going to be facing in office – ExxonMobil’s profit margins, and America’s foreign influence – are at odds, whose interests is he going to side with? We just don’t know. And Tillerson isn’t the only member of Trump’s new government facing a barrage of angry questions from the Senate even before they’ve stepped into the White House. The cabinet members picked so far have a combined wealth of over $9.5bn – more money than a third of all US households combined. Trump himself is being criticized for his reluctance to cut ties with his own business empire. Where companies are only accountable to themselves and their shareholders, governments are accountable to citizens. Everything from who pays the price of their losses to who profits from their gains is a whole different story from the way a government works. Let’s hope this cabinet knows that.